Bearing in mind that its author is Morten T. Hansen, we would have agreed with him even without having read it. But, please, be our guests and find out why by reading through this summary. Who Should Read “Great at Work”? And Why? A management professor at the University of California, Morten T. Hansen is probably best known as the co-author (with the ever-great Jim Collins) of Great by Choice, widely considered one of the greatest books on how to build a successful company in a dynamic, unpredictable and tumultuous age such as the 21st century. Great at Work is a sort of a sequel to Great by Choice (which was, in turn, a sequel to Good to Great), translating some of its advices in the language of individual performance and personal excellence. 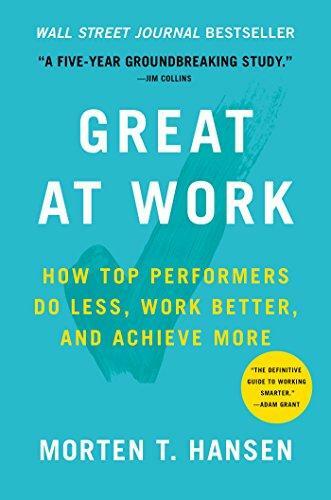 Once again based on an extensive study, Great at Work is nothing short of a “groundbreaking book” and should be read by anyone interested in becoming a better performer at work. Even more: we strongly encourage everyone to implement Hansen’s seven “Work Smarter” practices in his work career and life. That’s one decision you’ll never regret. Morten T. Hansen is a Norwegian-American management theorist and management professor at the University of California, Berkeley. After obtaining an MSc in Accounting and Finance from the London School of Economics, Hansen won a Fulbright Scholarship and went on to earn a Ph.D. in Business Administration at Stanford University. At Stanford, Hansen also received the Jaedicke award for outstanding academic performance, one of the seven he has so far received for his scholarly research, the most prestigious among them perhaps the 2005 Administrative Science Quarterly award and the 2005 Sloan Management Review/Pricewaterhouse Coopers Award. Ranked by Thinkers50 among the 50 most influential management thinkers today, Hansen has so far authored two books (Collaboration and Great at Work) and co-authored one with Jim Collins (Great by Choice). To find out more, visit www.mortenhansen.com. Morten Hansen is not only a co-author of Great by Choice but also sort of a protégé of Jim Collins; so, no surprises when it comes to the methodology behind this book: Great at Work tries to give a simple answer to a complicated question via an extensive, wide-ranging study. Why do some people perform great at work while others don’t? 200 published academic articles; in-depth interviews with 120 professionals and a survey study of 5,000 managers and employees, representing 15 industry sectors and 22 job functions. The first four practices relate to mastering your own work; the latter three to mastering working with others. Hansen explains each of them in the rest of the book. As you can see from the table above, managers who “do less, then obsess” perform a whopping 25 percentage points (on average) better than those who perform more, and then stress. According to Hansen, because of this, this strategy is the most potent practice among the seven discussed in the book. • Say ‘no’ to your boss: put limits; when your to-do list looks too much, it probably is; explain to your boss that accepting any other assignment will affect your performance; he/she will understand. The more hours you work, the better you perform. 50 hours a week is just enough; counterintuitively, anything more will impede progress and performance; so, redesign your work. You should rarely work more than 50 hours a week, aka about 8 hours for 6 days; according to Hansen’s study, sometimes, working up to 65 hours has some benefits, but just slight; working more than 65 hours is actually detrimental. Instead of extending your workday, it’s much better to redesign it. 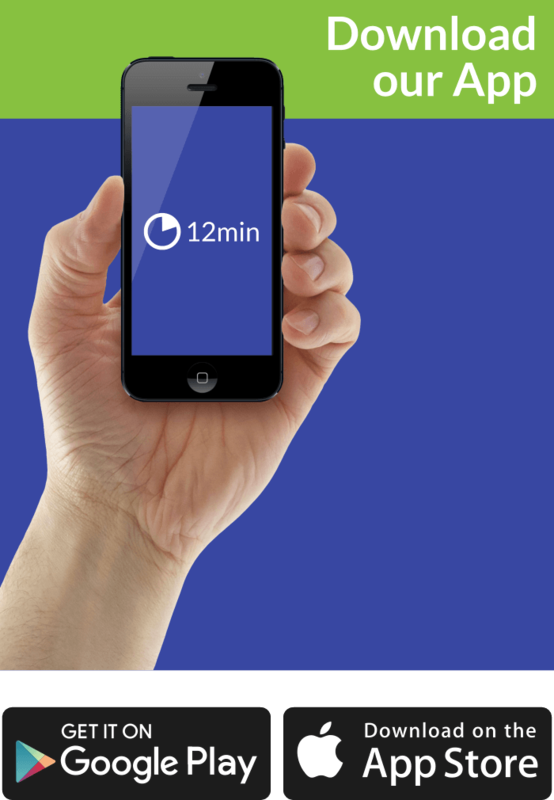 • Faster, cheaper: do some activities more efficiently. As Malcolm Gladwell taught us in Outliers, 10,000 hours of practice is all you need to master a particular discipline; repetition is the mother of learning – says John Medina’s brain rule #5. The secret isn’t repetition. The idea that it takes 10,000 hours of practice to master a skill is misleading. One year of practice repeated in the same way for ten years doesn’t make perfect. Rather, a certain kind of practice makes perfect. In other words, it’s not the number of hours that matters; it’s the quality of practice; it’s not how many, but merely how. Instead of the 10,000-hour rule, adhere to the Learning Loop rule; namely, focus on the quality of iterations and not the sheer number of them. The reason why people believe that repetition is the mother of learning is that most of the studies in deliberate practice have treated areas such as music, chess, sports – all of them memory-related. It’s different in the business world. • Confront the stall point: de-automate your routines. They say that if you do what you love, success will inevitably come your way. Passion is not enough; you need to match it with a strong sense of purpose; hence the P-squared. Many people are passionate about what they do; the ones who excel among them excel because they attach a much nobler purpose to their passion. • Expand the circle of passion. Passion is the result of several factors – not just taking pleasure in the work; it can also come from your success, social interactions, learning, competence, and creativity. “Expand your circle of passion by tapping into these dimensions,” says Hansen. • Climb the Purpose Pyramid. ○ Pursue activities which have a clear and sound social mission. Just argue rationally for your ideas, explain the wonderful merits of your case, and you’ll undoubtedly overcome all the opposition to your work efforts. Well, Hansen’s study vindicates Angelou: the best performers deploy the inspire+grit maneuver, evoking emotions in individuals whose support they need and tailoring tactics in the face of opposition. • They make people feel resolute, connecting their day-to-day activities to a grander purpose. • They mobilize people (see above) to advocate on their behalf. Meeting fights and disagreements bring about discord which spills over other meetings; that’s why fights should be avoided, and only the best and the brightest should be heard. Fights are a necessary product of good team debate; follow-up meetings are unnecessary when you fight and unite well enough. • Stop playing office politics and get behind decisions. The more collaboration, the better. Overcollaboration is as bad as undercollaboration. Busting silos is not the answer. A different tack—disciplined collaboration—helps you collaborate effectively and perform. Both overcollaboration and undercollaboration are detrimental to success; to achieve balance, you need disciplined collaboration. • Tailor trust boosters to specific trust problems in the relationship. We’ll try to summarize this chapter in three charts, each answering the three questions Hansen posits here. How Do You Really Get Better Work-Life Balance? As you can see, even p-squared worsens work-life balance (by about 4%), and “do less, then obsess” improves it the most (by 26%). How Do You Prevent Burning Out? Once again, do less, then obsess is the best strategy to go! How Do You Enhance Your Job Satisfaction? All “smart work” practices improve job satisfaction; unsurprisingly, p-squared the most. Morten T. Hansen conclusion is pretty straightforward: anyone can become a top performer. True, effort, talent, and luck all play their parts, but these seven practices statistically have played a more important part than anything else. Named by The Washington Post as one of the “11 Leadership Books to Read in 2018” even before it had been published, Great at Work is undoubtedly destined to be included in similar lists in the future.At least we should have no second thoughts including it one of our future “best leadership books” lists; in fact, we’re kinda sad that we happened upon it a bit too late to include it in the one linked in this sentence.